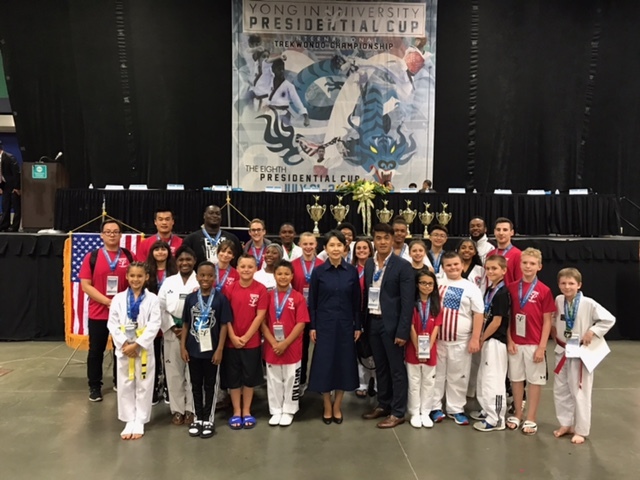 Master Shim's World Class Tae Kwon Do masters, instructors, competitors and their families headed to Greensboro, North Carolina over the weekend of July 21-22, 2017 to compete in an amazing international tournament along with over 1000 other competitors. Yong In University is the alma mater of our very own Master Shim where he was an esteemed member of the world recognized traveling Yong In University Demonstration Team. We got to see this year's team as they impressed us with their hit flying techniques and board breaking as well as their synchronized forms. Thank you to all who supported this great event!